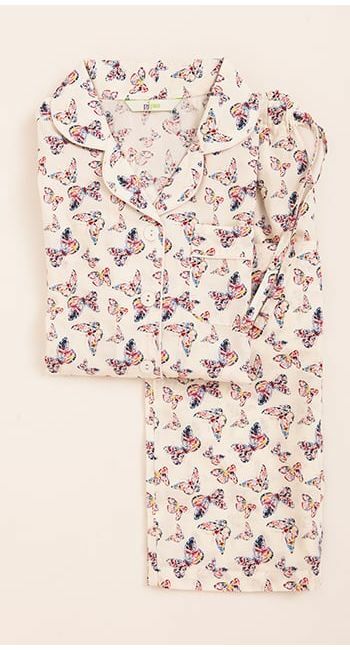 This pretty butterfly print was our first ever printed cotton and has proved to be a real favourite. Matching pyjamas and pj shorts available. Fabric type: Printed Egyptian cotton.